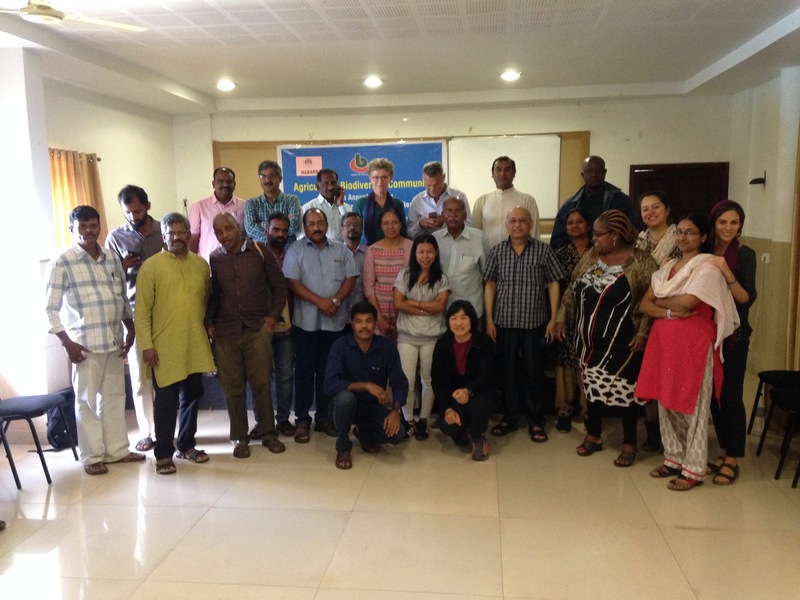 MESA had the honor of participating in the general meeting of the Agriculture Biodiversity Community (ABC), a network of representatives of organizations working with sustainable agriculture across the planet mainly southeast Asia and Africa. The meeting took place from December 11th to 17th, 2016, in Wayanad district in the North-east of Kerala state, one of the most biodiverse regions of India. During an intensive week of work we had the opportunity to visit multiple sites that showed us how – despite the great pressure of conventional agriculture through technologies such as transgenic crops – biodiversity-based farming is still a viable option to feed the population in a sustainable way. One of the visits was to a village located north of Wayanad where the farmer and seed guardian Mr. Kaman Cheruvayal Raman invited us. He told us that he has been a farmer there for more than 25 years, that he and his family have preserved seeds of rice and other crops adapted to the area for more than 500 years, and that he won a government award where he was recognized for keeping alive the agricultural biodiversity of this area of ​​India. Mr. Raman shared with us that the new environmental regulations of the Indian government have pressured many farmers to leave the area, so the forests can recover, but that he has not had to leave because his productive techniques coexist successfully with the forest. 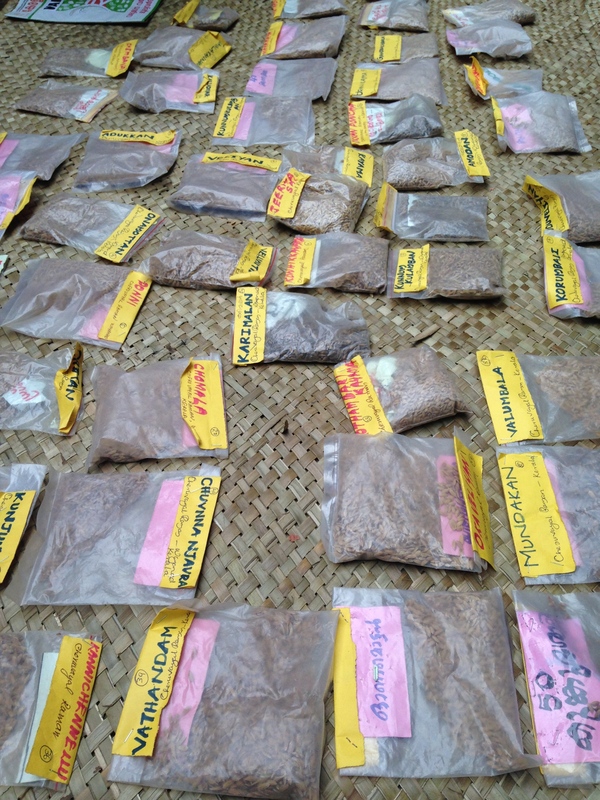 Seed bank maintained by Mr. Raman for the past 25 years; some of the traditional seeds have been sown by his family in the area for more than 500 years. Another visit was made to the Gurukula Botanical Sanctuary. There, the ecologist Suprabha Seshan explained to us how, for more than 30 years, she and her team have worked to recover the biodiversity of the tropical forest of the Ghat Mountains, at the Wayanad region, home to innumerable plant and animal species, such as the tiger and the elephant of India. Mrs. Seshan explained to us how besides recovering the biodiversity of the area, the botanical garden is also an important source of employment for the locals, especially women who are dedicated to propagating the plants of the forest. At the end of the conference, the ABC community confirmed its willingness to support MESA’s mission to build intercontinental networks for the exchange of experiences and knowledge, including the possibility of students and alumni from our Bay Area Farmer Training Program to visit members of the community in Africa or Asia to learn about agroecological techniques as well as the cultural and ancestral richness of those lands. Attendees of the ABC Community meeting held in Wayanad, Kerala, India, December 2016. It was a great honor for MESA to represent the Americas and share our knowledge on agroecology and food justice with the members of this community at such an important meeting. 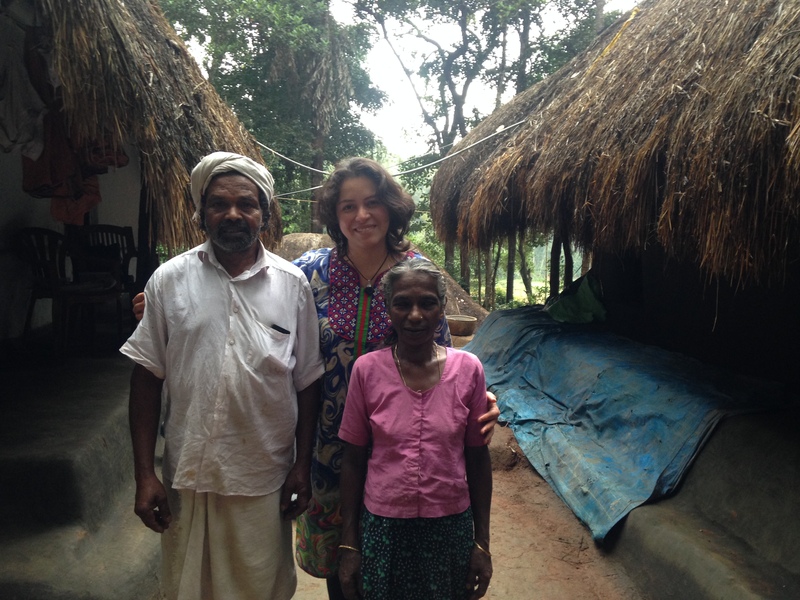 MESA Employee Ana Galvis with farmer and seed protector Kaman Cheruvayal Raman and his wife.